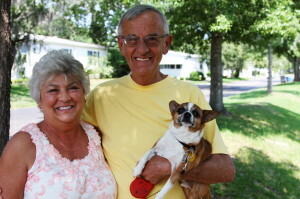 Central FL is home to many retirement communities. Hyde Park, which is owned and operated by Blair Group, is a retirement community specifically for adults 55 and older near Orlando that has long been immensely popular among retirees. Indeed, there many reasons why Hyde Park could be considered one of the top retirement communities in the region. Affordably priced homes – We have an excellent selection of low-maintenance manufactured homes for sale inside of our community, all affordably priced and ready for occupancy. Resort-style amenities – All residents of Hyde Park have exclusive access to an assortment of amenities that other retirement communities in Central Florida don’t necessarily offer, such as a spacious clubhouse, fitness center, pool, and storage facilities for boats and RVs. Structured activities – Shuffleboard, Bingo, cards, crafts, needle club, and chair exercises are just some of the structured activities that take place at Hyde Park throughout the week. Professional on site management – Hyde Park has a full-time management staff on site that oversees the day-to-day operations of the community. Area perks – Thanks to our advantageous location in Winter Garden, residents of Hyde Park don’t have to drive very far to enjoy all of the great sights and attractions that the nearby city of Orlando has to offer, including theaters, concert venues, shopping emporia, theme parks, restaurants, and more. But, why take our word for it? Schedule a visit to Hyde Park in Central FL and see for yourself why it is one of the best retirement communities in the state.